Large, luxurious swimming pool complex. Our townhome is a quiet unit on corner. The spacious living room has a sofabed. 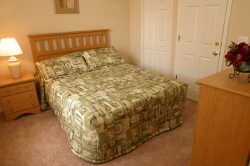 THIS is where you want to stay for a very pleasurable and relaxing Florida vacation!! At our beautiful townhouse at the Regal Palms Resort and Spa!! 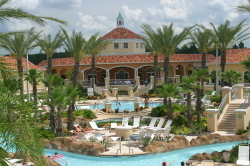 Situated only seven to eight miles from the famous Walt Disney World, the Regal Palms Resort & Spa in Davenport, Florida (Orlando area), offers guests much more than just a traditional hotel stay. 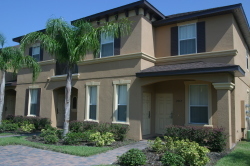 At our Orlando area townhome, guests will have close proximity to popular attractions such as Disney World, Universal Studios, and Sea World. will love the swimming pool complex! Our townhome features a fully equipped kitchen with coffeemaker, stove, oven, microwave oven, refrigerator, toaster and all the utensils and cookware and dishes guests will need during their stay. 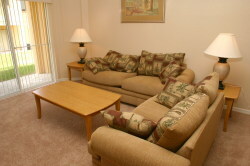 Our unit also has a separate living and dining area, plus a balcony off the master bedroom suite. You will find our townhome a true HOME AWAY FROM HOME!! Enjoy! parking located directly in front of townhouse. Balance to be paid - 8 weeks prior to ho to arrival.